I’m under the weather today, but am happy to report that the actual weather in the Berkshires has finally turned springlike. 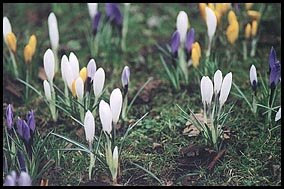 The crocuses are budding in our backyard and Lyme disease-carrying ticks are hatching away in the woods. Think it’s safe to take off the snow tires?